Many people have been drawn to the offering of online bingo games, and these games can offer some fantastic forms of entertainment as well as high payouts. The games are simple to play, and with this guide, new players can learn how they can start enjoying fantastic bingo variations right from home or on their mobile device without risking any money at all. The majority of operating bingo sites will have an array of free games that can be played. These will not cost any money, but will not generate real money payouts either. Free bingo games are best used as a learning tool, allowing players to test different game variations before purchasing cards. 2 Can Players Win Anything with Free Bingo? While most players will be looking to collect payouts, some will want to play bingo with no financial risk. Free bingo games can offer some amazing benefits and is a perfect way for any new player to get started with bingo games online. Aside from being completely free, many things make these games appealing to players. With free bingo, players can try before they buy. Many sites offer no deposit bingo games that can be enjoyed and these are a great way for players to become familiar with different game variations and to learn their way around a new bingo site. For those who are completely new to the game of online bingo, free games will provide them with the time needed to learn the game and become familiar with rules and features. There is no risk at all to the player, and they can be played by anyone, at any time. Free bingo games are also enjoyed by real money players at times, as they provide great ways to practice game variations. Can Players Win Anything with Free Bingo? While most players will believe free bingo comes with no rewards, they would be wrong. While most free bingo games do not carry any cash prizes, some things can be won while playing. In fact, there are even some sites that will offer small cash prizes to those that win free bingo games. The cash amounts will not be as much as with standard real money bingo games, but there are some nice rewards to be claimed. Many of the top rated bingo sites that are operating online will offer daily and monthly sweepstakes that can provide prizes. These can include cash rewards, merchandise, gift vouchers and more. Players can also win free credits that can be used to purchase bingo cards when they are ready to play for real money. Free online bingo games will not compare to the real money games regarding payouts, but there are some prizes and cash amounts that can be won with some free games. This is great news for new players who are looking for a risk-free way to get started with thrilling bingo games. With no cost to play, there is still a chance to cash in on sweet rewards. New players may think there are no other incentives to playing free bingo and will wonder why sites offer free bingo bonuses. In fact, these bonuses are a great way for any new player to get started as they provide access to real money games with no risk. Instead of playing the regular free games with no cash rewards, free bingo bonuses can allow players to enter cash games and collect payouts. These types of bonuses are called no deposit bonuses, and there is no risk to the player. One will simply have to create an account and redeem the no deposit offer. This will provide a small amount of money to be used on the purchase of bingo cards, and the price typically ranges from $1 to $20. These bonuses are a great way to get started. However, they do come with restrictions. If players do win, they will have to make a deposit to their new account and meet stated wagering requirements to claim those winnings. On the flip side, if players lose, they are under no obligation to conduct any cash transaction or even remain a player at the site. The most important tip regarding playing free bingo games is to read the rules and terms and conditions. Various games will come with conditions that can affect the outcome, so make sure to have an understanding of what is expected from the games being played. When playing free bingo games, use it as an opportunity to learn about different game types and develop a style of playing. Free bingo comes with many benefits and players can also interact with others, which can be a great learning tool. Seeing as free games have no risk, do not take these seriously. Use them as a stepping stone to when one is ready to play for real money and always keep bingo fun. When players are ready to start playing free bingo, they will have to choose a bingo site. All sites have something different to offer, so it is important to take the time to compare different sites. Players will first want to make sure they can legally play at the site and will then want to take a look at promos and game variations. Once a legal and regulated site has been chosen, players will have to create an account even though they are not playing for real money. The sign-up process is quick and straightforward, and the most trusted sites online will always protect personal details. Once an account has been created, players will be free to access any of the free bingo games offered. After playing some free bingo options, players will then have the choice of playing for real money. If they choose to do this, they will have to select a supported payment method and conduct a deposit of actual funds. This will provide access to cash games where some high payouts can be collected. Playing bingo online can be a fun, exciting and rewarding experience and the same goes for playing free bingo. These free games are the perfect opportunity for any new player, and they can also be used for a casual bingo experience for those that do not wish to play for real money. 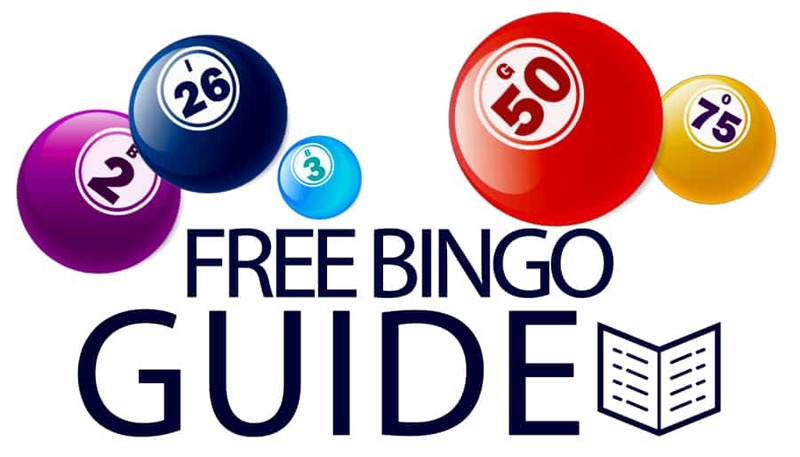 With free bingo, there may be no cost to play, but in some cases, sites will offer small rewards and prizes to those that engage in free play games. With the chance to win some lovely gifts and small cash payouts, free games have become the preferred entry point for new players, and they can be found at almost every operating bingo site online.